The perfect recipe to make you slow down and enjoy the process. 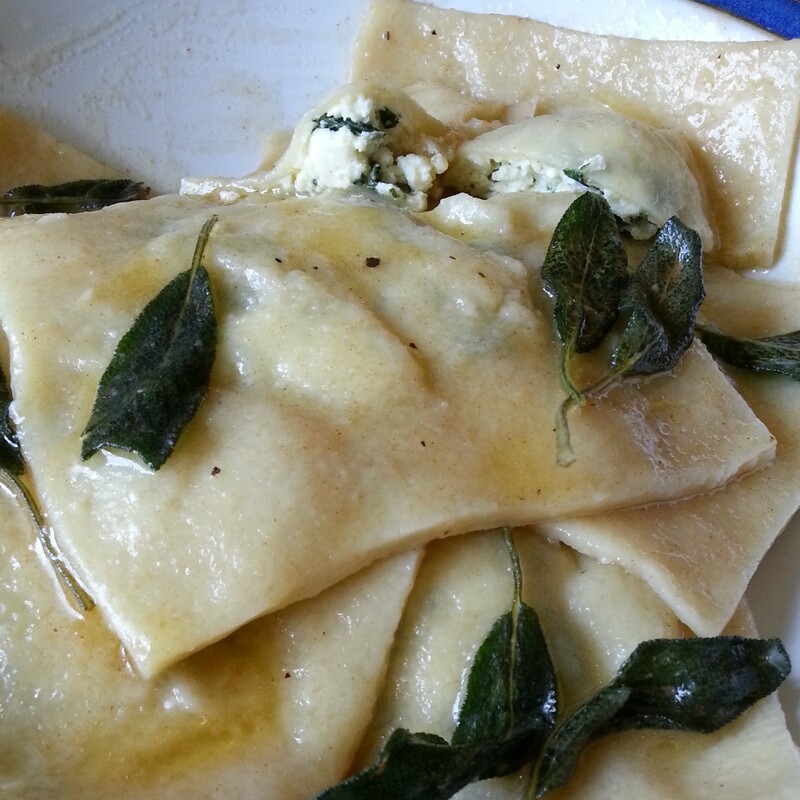 There’s a recipe for the pasta and for the spinach and ricotta filling. My brain’s not been playing fair lately, racing here and there, dwelling in the shadows, lurking. It’s been nasty, spiteful and mean. Mainly to me. To others I seem fine, my dear friends Eleanor and Mary said I looked “beautiful and serene” when they saw me on Friday night. Currently my favourites. I have a good game face. On the inside it’s a poisonous self-sabotaging dog fight. Food is my ultimate joy and arch nemesis. I am my happiest in the kitchen. Feeding other people makes me infinitely happy. There is enough subtext in those three sentences to keep me in therapy until my deathbed. And beyond. I’ve been told that at the moment I’m investing heavily in my food currency and while on some levels that gives great dividends I need to broaden my investment portfolio. A financial analogy. I don’t even know who I am anymore. But it’s true and quite indicative of me. I am a fine example of putting all the eggs in one basket so I’m currently trying other currencies to reduce my stress – or at least make me forget the stressors for a while – and find enjoyment from areas that don’t trigger an avalanche of binge eating and self-loathing. Good times! In the meantime I am still cooking and forcing my racing brain to slow down, to enjoy the process as much as the end result. There’s been some pretty nice outcomes including making pasta for the first time in more than 10 years. Not only did I make it I hand rolled it. Funnily enough, working with the dough was the most enjoyable part. I’ve learnt to stop worrying and fearing about something not working and to just listen to my gut – add a little more flour, a little water, work it some more, it will be fine. Learning that for pastry making was a complete revelation. Just go with it. * I sauteed the spinach in some chilli-infused oil and a clove of finely sliced garlic. Let it cool a little and then squeeze as much water as you can from it and very finely chop. Start working the dough by pushing the heel of your hand into it and pushing it away from you, turn it clockwise and push it away from you again with the heel of your hand and keep doing so for about 10 minutes. If it’s too dry (which it probably will be) wet your hands and keep working it. Eventually the dough feels springy but quite firm and will become quite difficult to work with. Giorgio tells us not to worry if the dough feels hard, after it has rested it’ll be good to go – and it is! 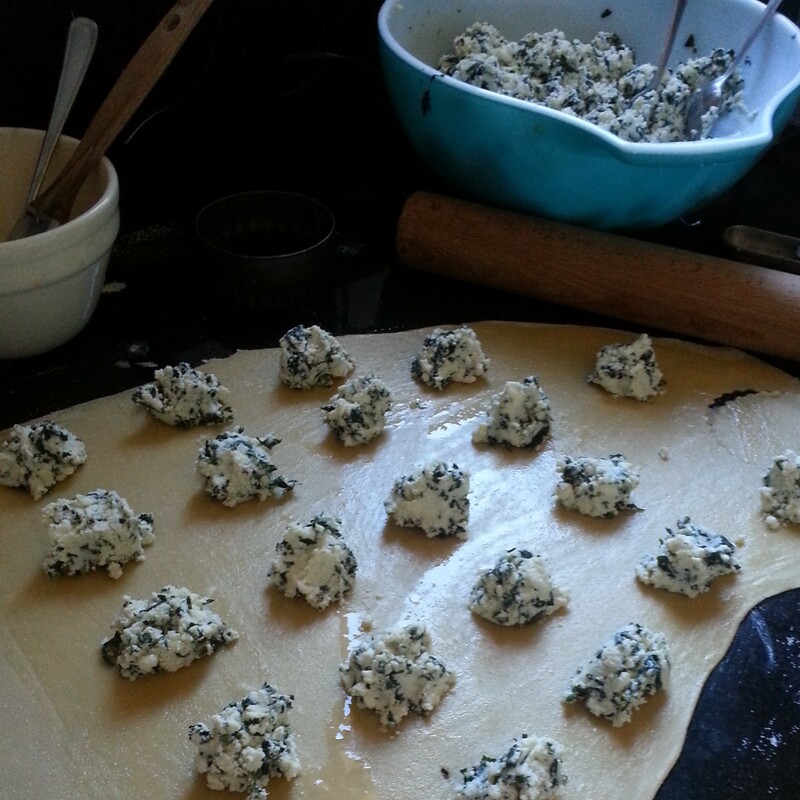 Divide the dough into 2 balls, wrap each in a damp tea-towel and rest for about an hour. Dust your bench with some flour and semolina. 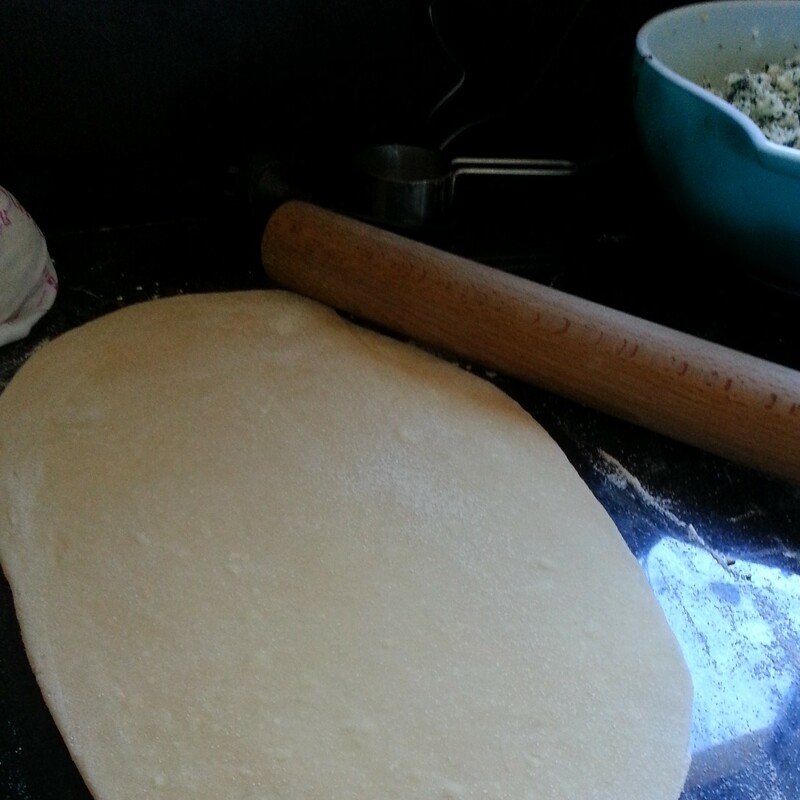 Take the dough and roll it out in a rectangular shape. Always roll the dough away from you and turn 90 degrees after each roll. This has something to do with making the pasta stronger – similar to how when you use a pasta machine you roll it, fold it, turn it, roll it again. Once you have it very thin – so you can see light through it is ideal – fold the dough in half and then open out again. 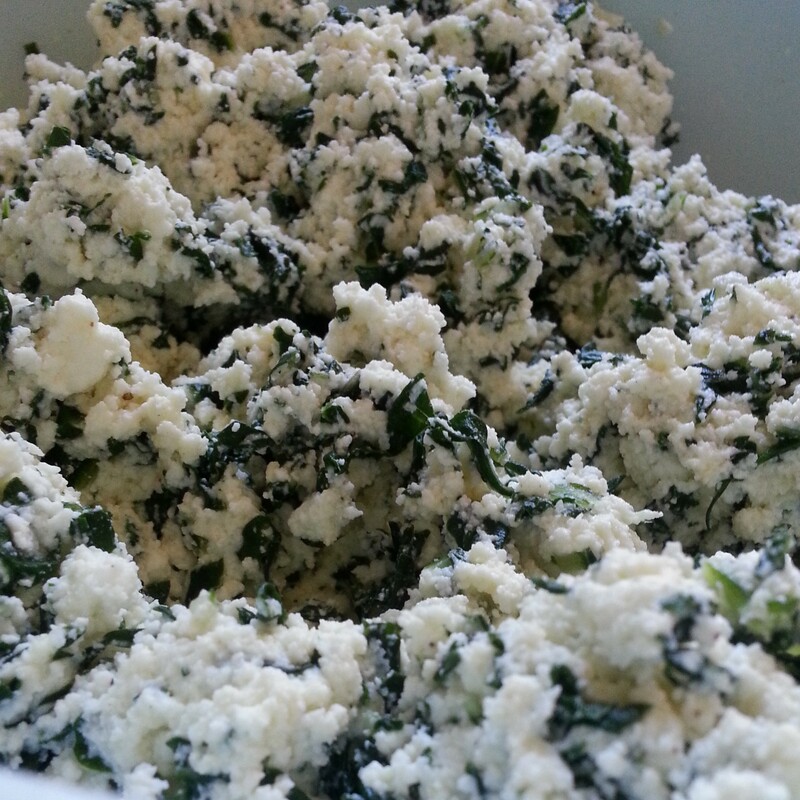 On one half brush with a beaten egg then place teaspoons of the ricotta mix in a row about 4cm between each pile. Fold the other side over the top and then press down around the filling ensuring you’ve got no air pockets around the filling. Don’t get too worked up about it, when you cut them out you can double check there’s no air pockets. Cut them out. Now if you’re going to get all fancy, using a teeny rolling pin or your hands and press the sides of the ravioli until it’s the thickness of the dough covering the filling. I do a half-arsed attempt at this because quite frankly life’s too short. If you want to make pretty shapes (ie use a fluted cutter) then go for your life – there’s not meant to be that much pasta around the stuffing but I like that because I’m a heathen, clearly. If you’re making them ahead of time, keep them in a container on sheets of baking paper dusted with semolina. Bring a pot of water to the boil, salt generously, then drop in the ravioli and cook for 3-4 minutes. Serve with a simple tomato sauce or butter you’ve melted until it’s nut brown with fresh sage leaves. 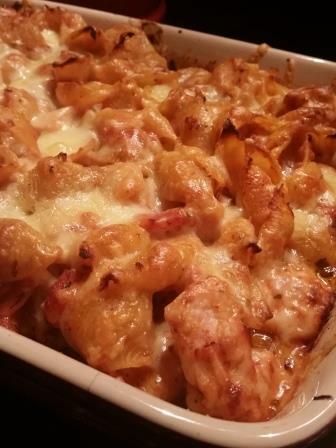 Author allconsumingPosted on April 24, 2013 April 24, 2013 Categories pasta, vegetarianTags pasta, ravioli, spinach and ricotta ravioli8 Comments on Slowing it right down. 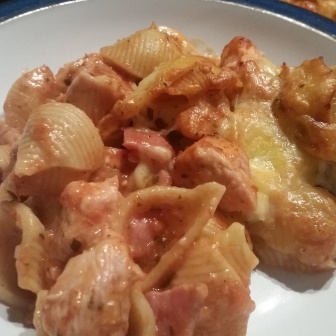 *** I only had the oven on 180C (because I never read recipes properly) and was really happy with how cooked it was. Just keep an eye on it as you don’t want it to dry out. Mrs Woog asked me what you cook a Chef for their birthday dinner. For the Chef in this house the answer to that is very simple: any pasta in a cream based sauce and preferably involving as many forms of dairy as possible and pecan pie. I KNOW. No having to debone quails or slow roast anything or use pig guts or scour the city for bizarre produce essential for the dish. 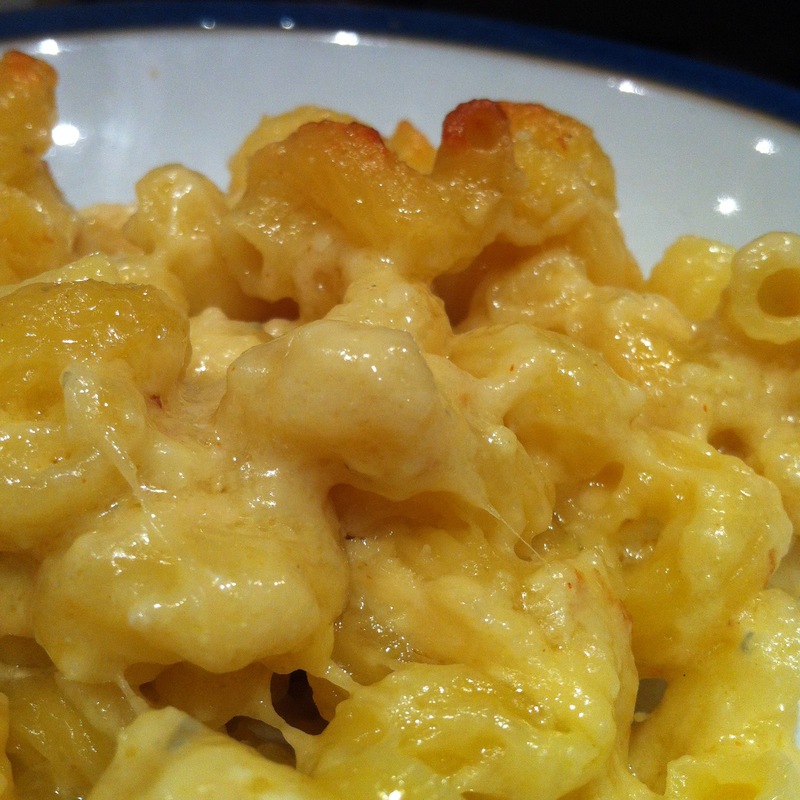 Make the man macaroni cheese and I almost get out of wifely bedroom duties. Sweet. 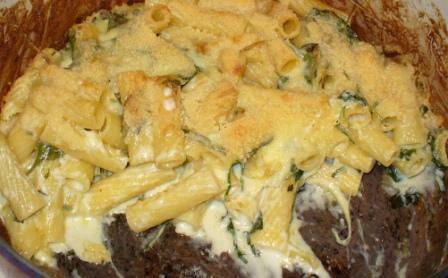 This recipe involved no bechamel and a shitload of cheese. 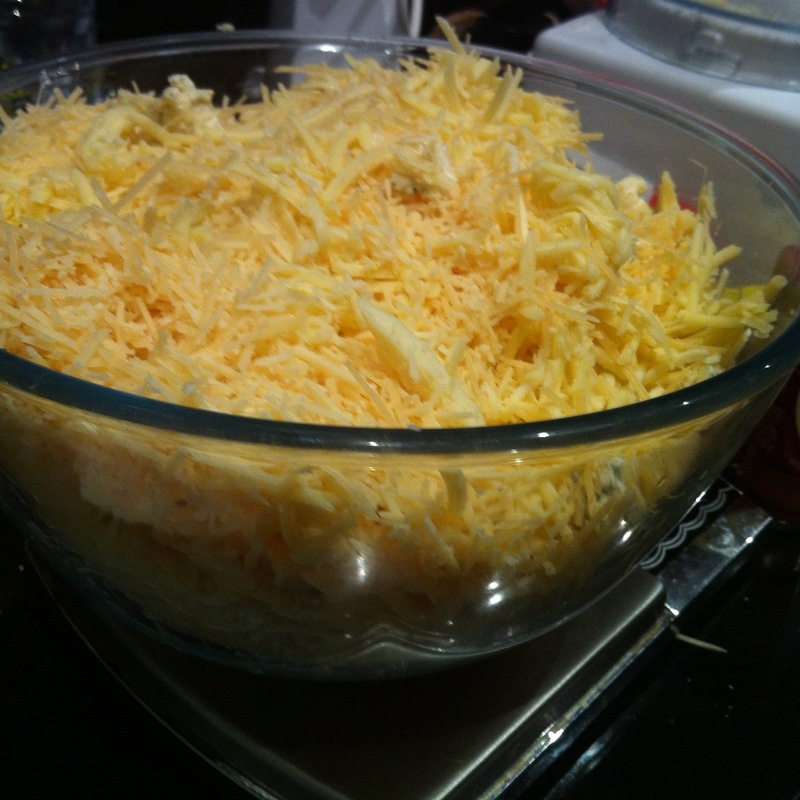 Shut up, that is so the technical term for when there is half a kilo of cheese in one recipe that isn’t cheese fondue. 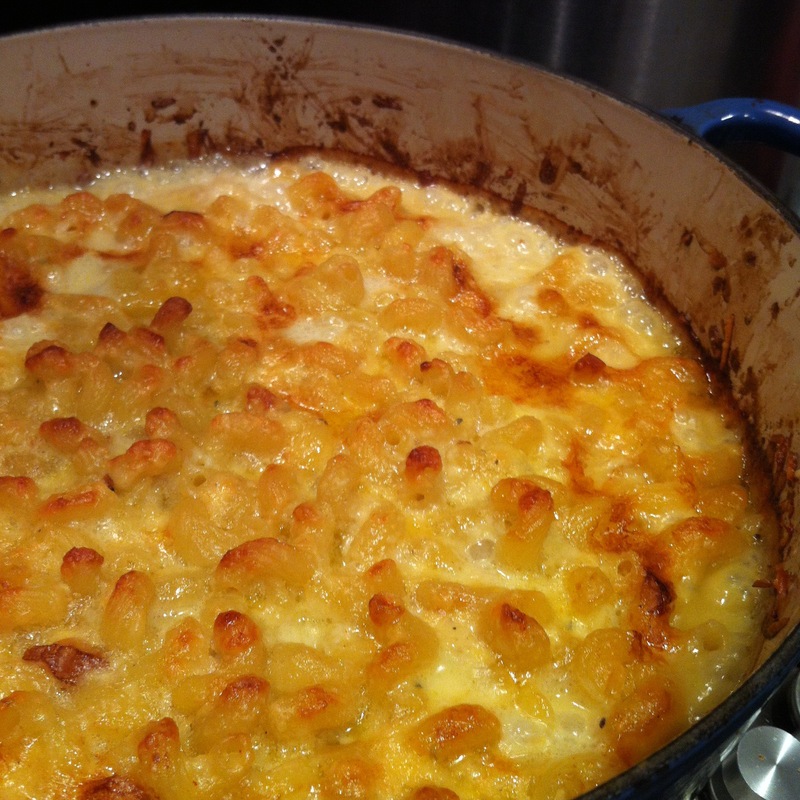 Naturally, this recipe gets doubled in this house (it is made very rarely, the only people who truly enjoy it being Chef and Oscar) even though it is not a winner for some. But for Chef, it forms pretty much all of his diet for the following few days and it cuts me some slack in getting my bits out and shakin’ them all about. 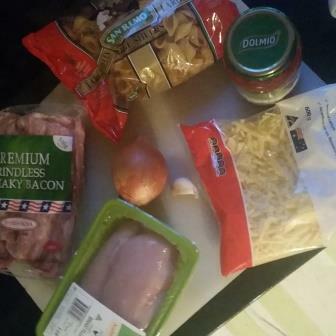 250g (1/2 pd) elbow pasta, uncooked. In a blender, purée cottage cheese, milk, mustard, cayenne, nutmeg and salt and pepper together. 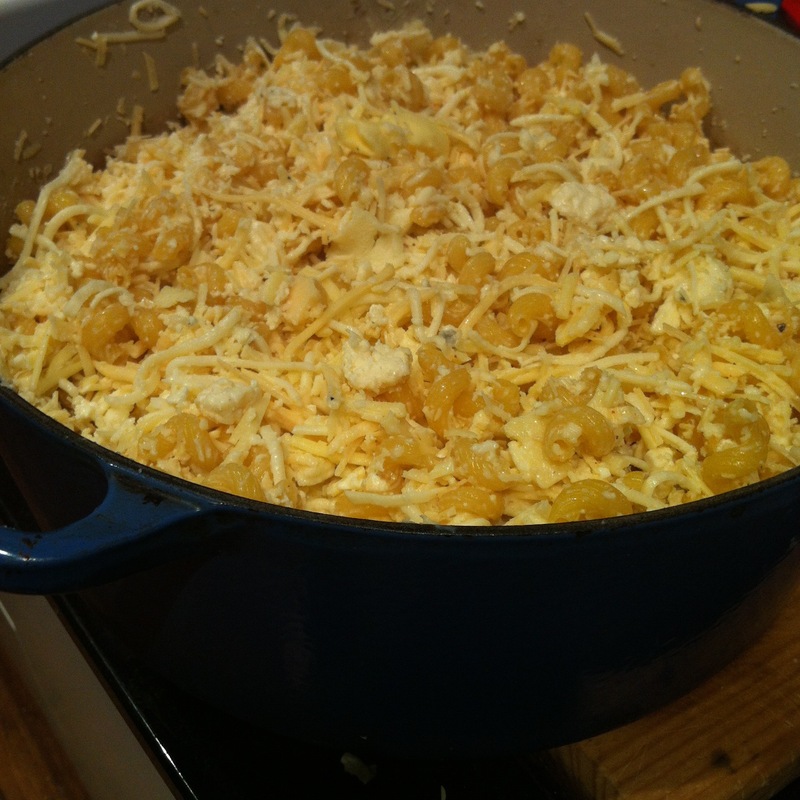 Reserve 1/4 cup grated cheese for topping. 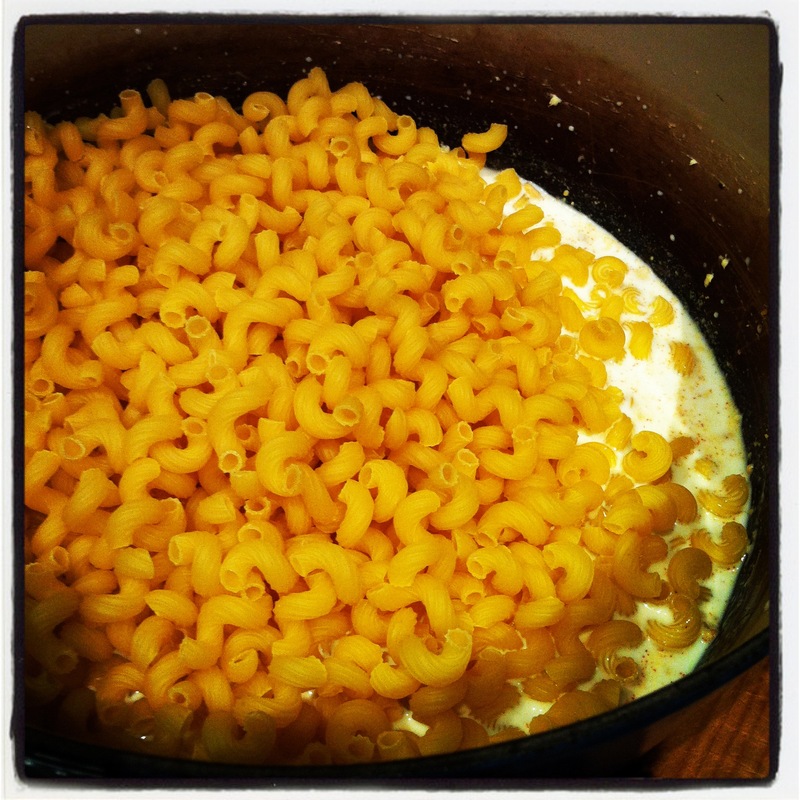 In a large bowl, combine remaining grated cheese, milk mixture and uncooked pasta. 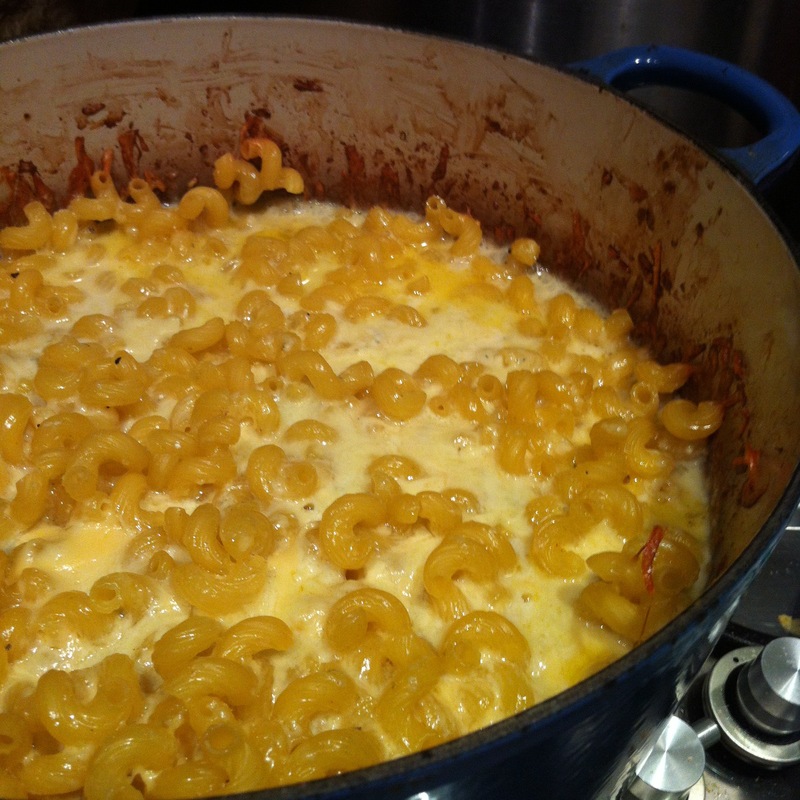 Uncover pan, stir gently, sprinkle with reserved cheese and dot with remaining tablespoon butter. Bake, uncovered, for 30 minutes more, until browned. Tonight I added about 4 spring onions to the blender and boy, did it add a beautiful subtle flavour to cut through the richness. Sometimes I use a variety of cheeses just to mix it up.